Ruggedly built in the 1920's as a college laboratory table, this butcher block table makes a wonderful kitchen island or planting table. The top has a food grade oil finish that preserves lots of dings and stains for antique character. 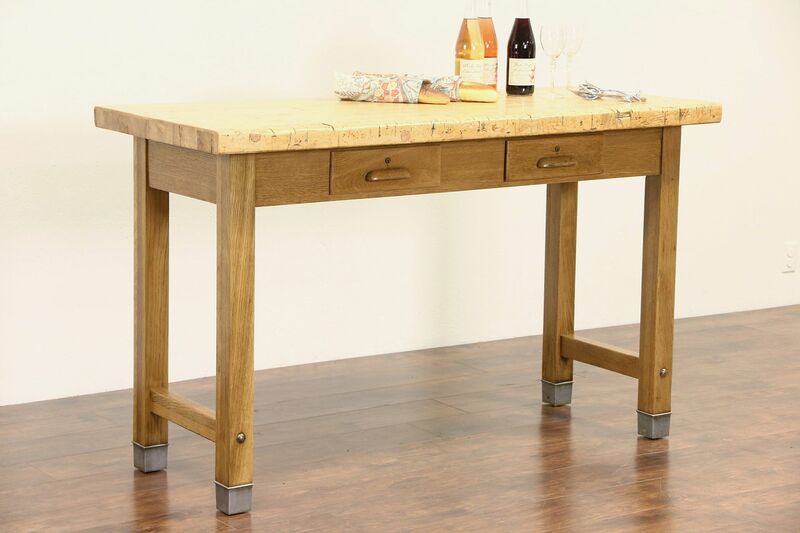 The solid oak base has a very fine restored finish. Nickel feet protected the wood legs and have tiny tabs where this antique furniture was originally screwed to the floor so it wouldn't move. Measurements are 61" long, 25 1/2" wide and just under 37" tall.